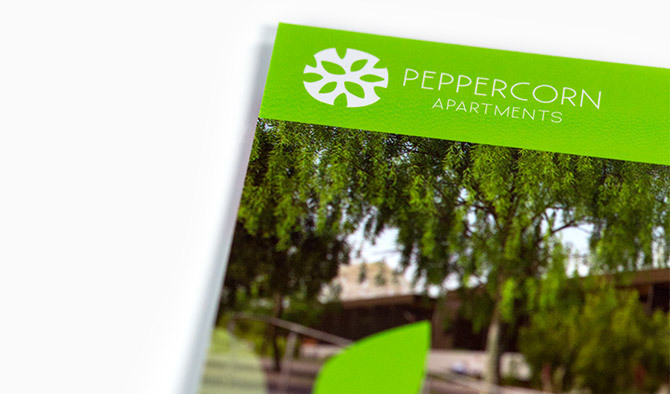 Completely re-designing the brochure, we incorporated a beautiful gloss hi-bulk varnish to the logo and design elements on top of an uncoated stock. 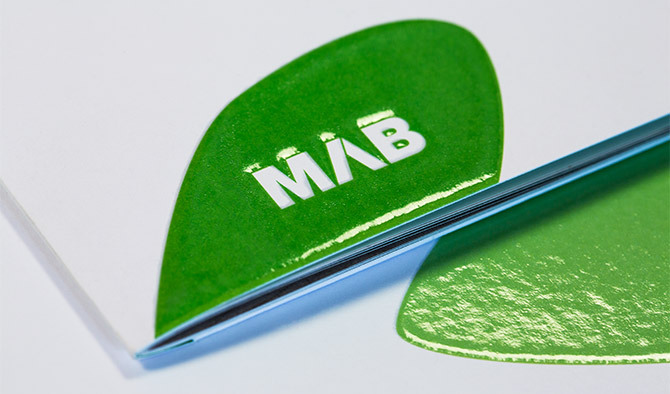 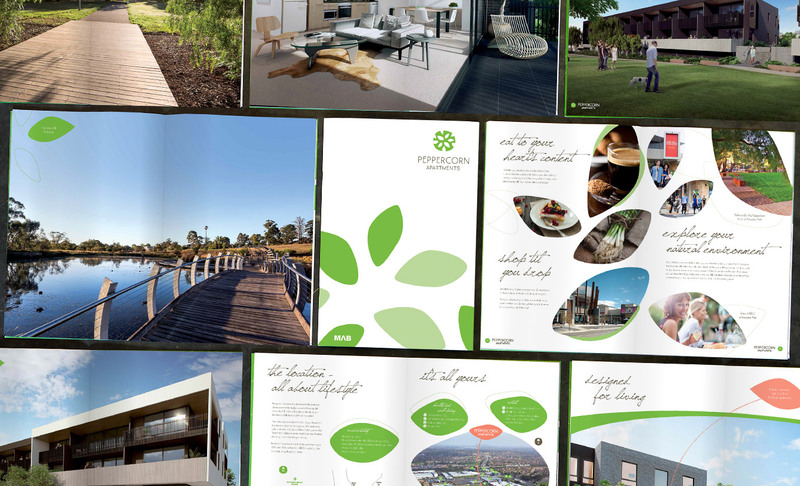 This created a real wow factor and enhanced the feeling of quality in the project branding – quality that is mirrored in the development itself. 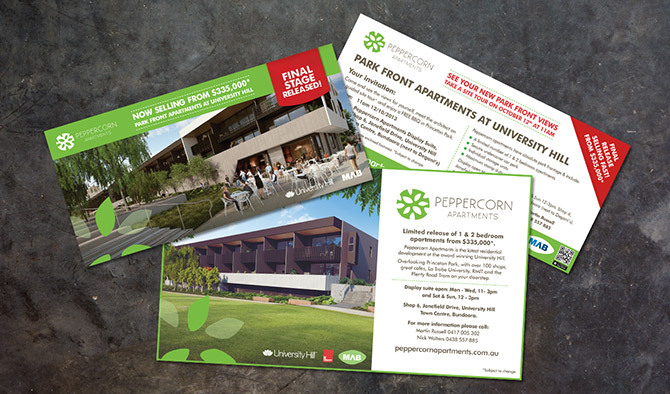 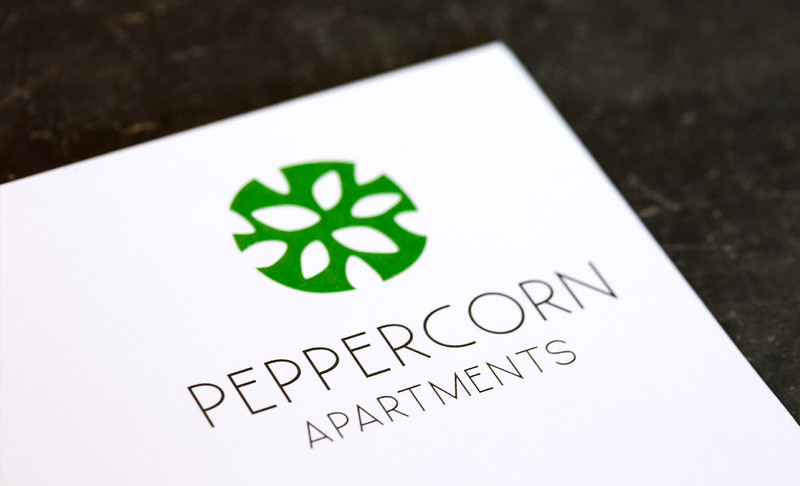 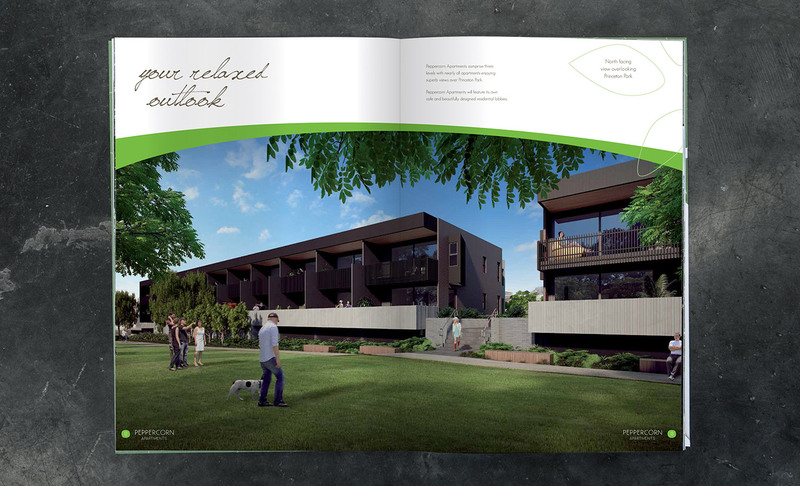 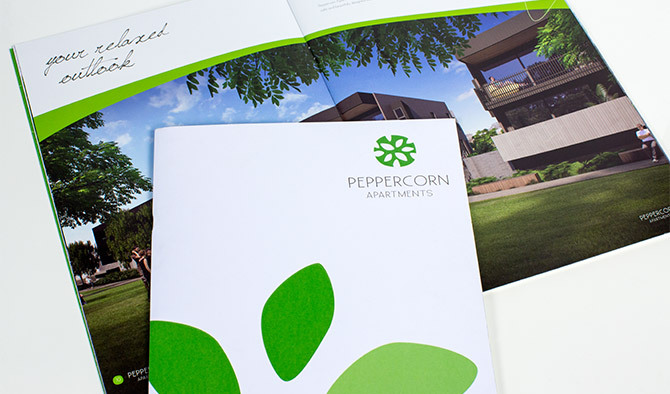 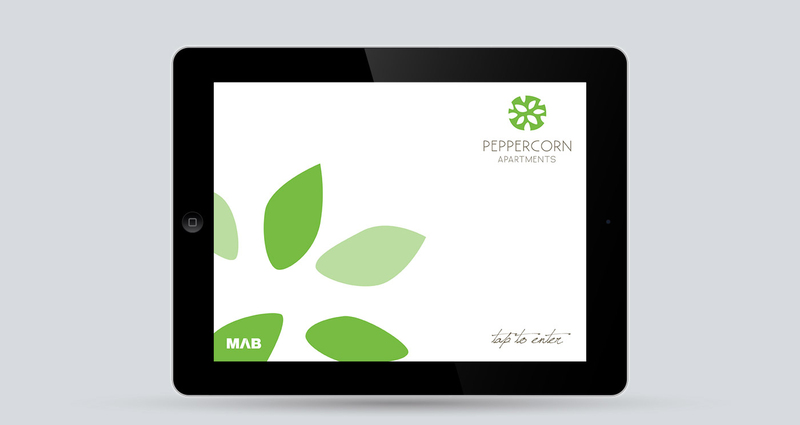 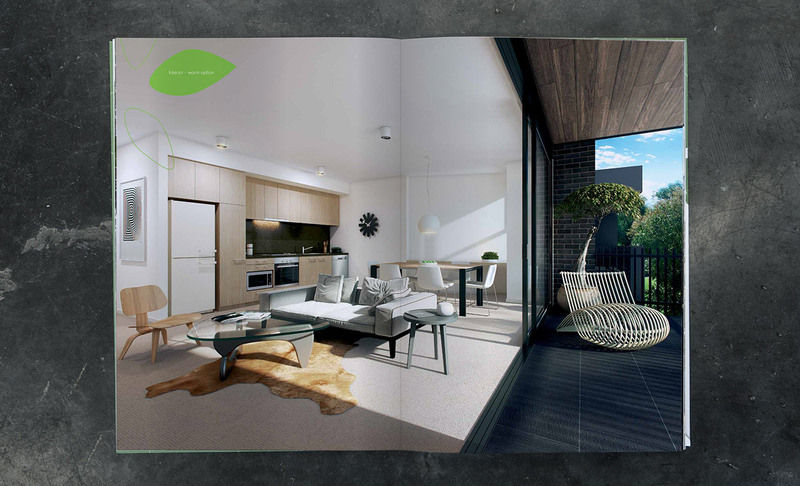 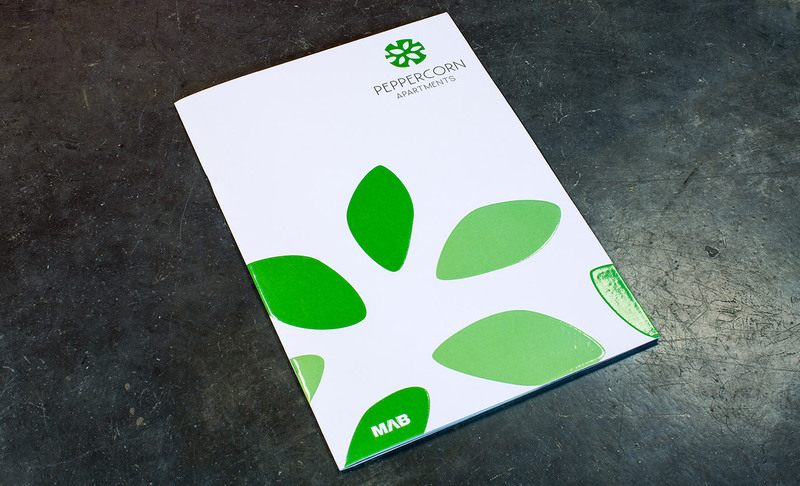 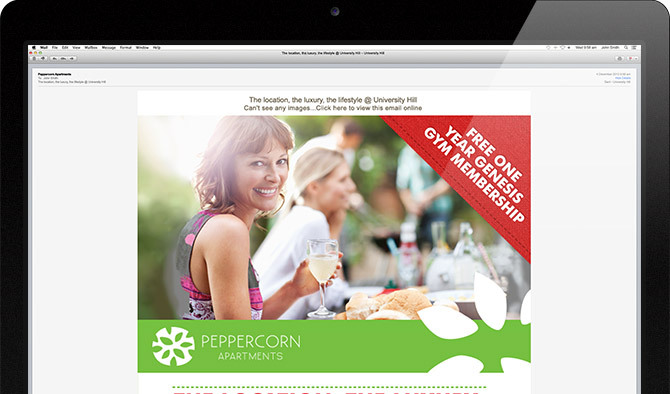 To appeal to the youthful first home buyer target market and to showcase the developments’ superb location, we designed a comprehensive iPad app for Peppercorn Apartments. 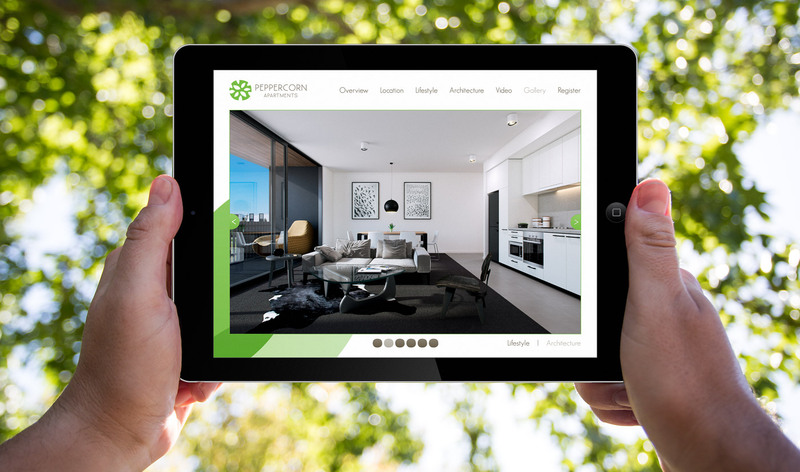 With a clean easy to navigate design, working with our friends at Liquid Digitial we incorporated project background information, amenity maps including Google Street View for orientation, floorplans and a registration page. 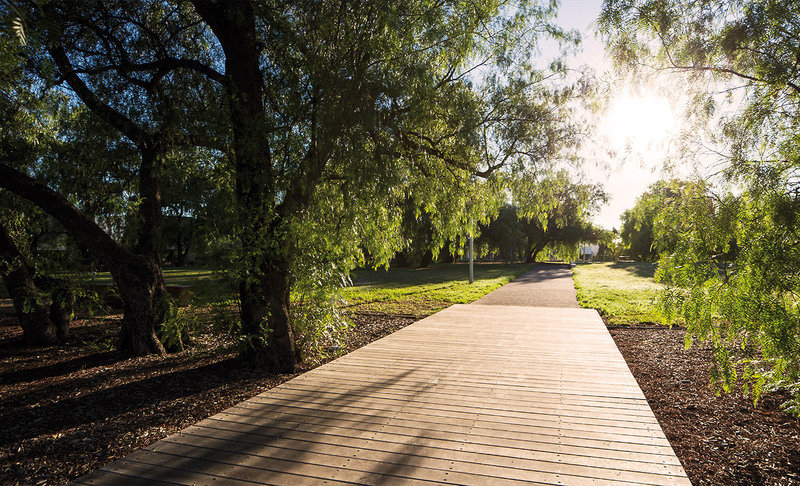 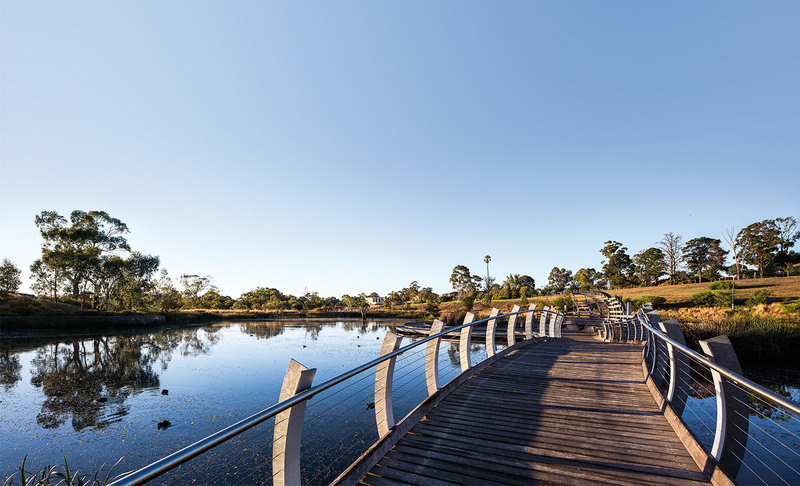 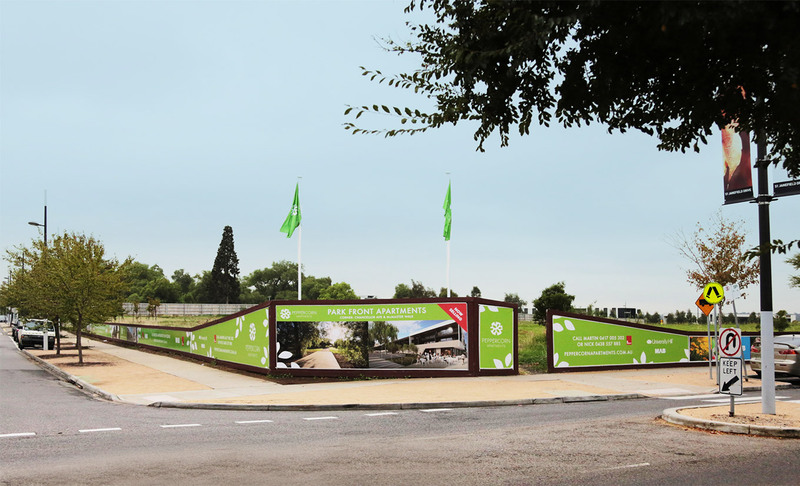 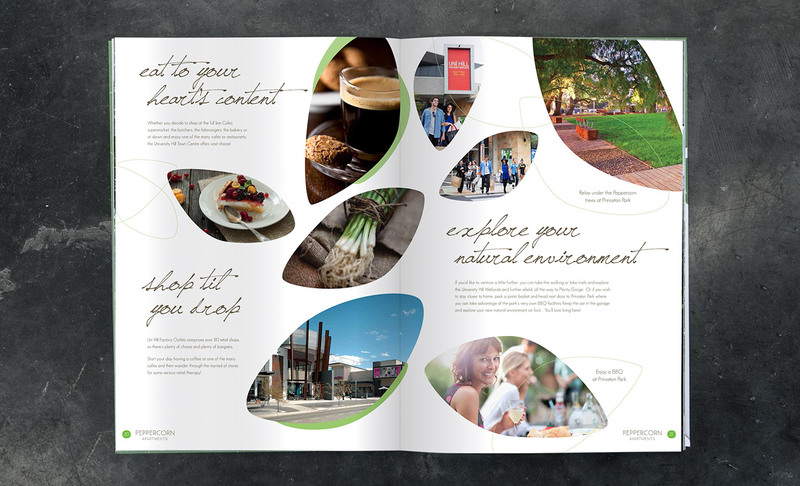 Needing some strong hero imagery for the campaign, we embarked on a new shoot at University Hill, with a dawn shoot to highlight the amazing lifestyle options available to residents – the park opposite the development and the extensive network of trails and wetlands that surround the area.